All students have two classroom music lessons each week with a real emphasis on practical music making. There are numerous clubs and opportunities including choir, jazz band, orchestra, guitar group, ukulele group and music theory. Music fosters self-esteem and the ability to work co-operatively in teams, as well as enhancing learning in other core subjects. 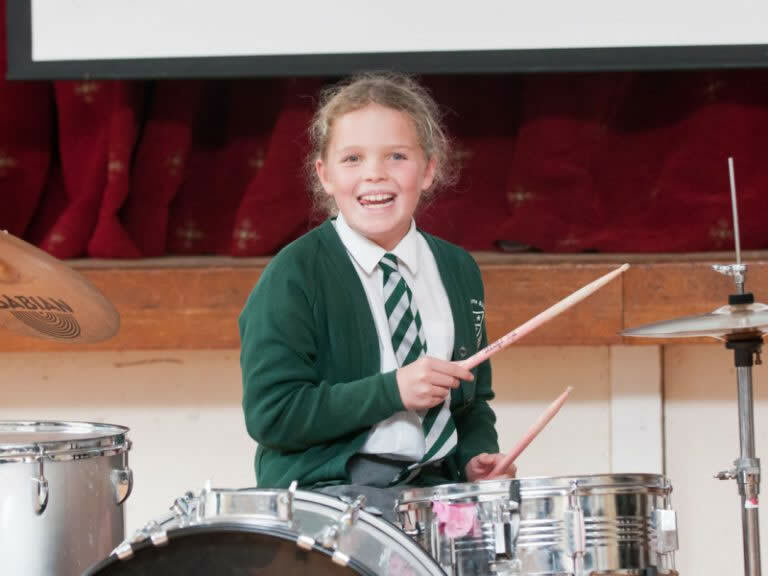 Music is a huge part of Westbourne Junior School. All students learn the music curriculum through a creative approach to composition, performance and listening. There are many exciting opportunities to perform in and out of school. Recent events have included shows at the Montgomery Theatre, a gig night at The Leadmill, a Samba Carnival Day including 150 children from around Sheffield and choir performances at the Manchester Halle.